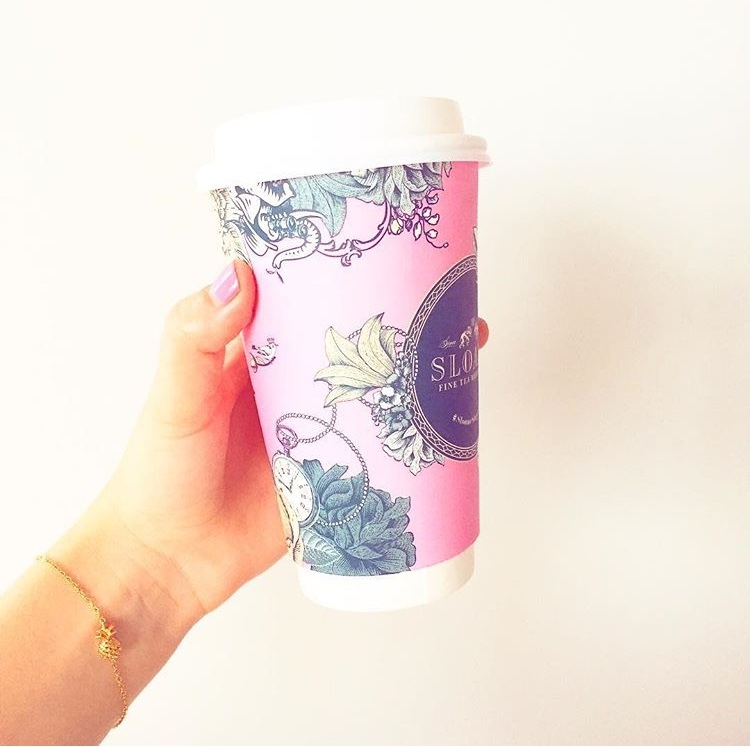 Admittedly, I saw these beautiful Sloane takeaway cups on Instagram and this was my prime motivation to walk across the city to Parkdale. 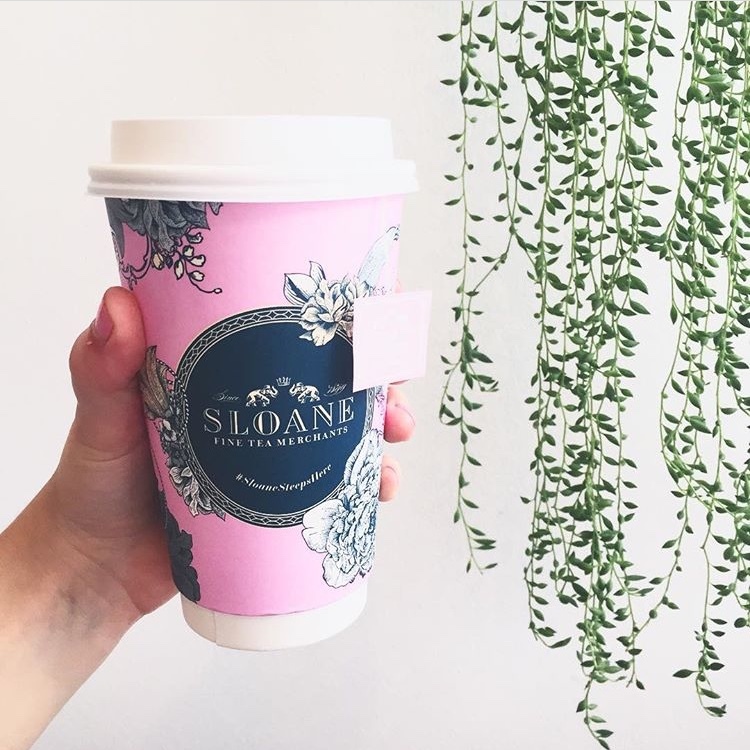 I even went so far as to email Sloane Tea to ask them where in the city the cups could be found! Being a downtown dweller, I’m not one to venture too far out of my box in Toronto: bordered by Bloor Street, Yonge Street and Ossington is the furthest west I usually desire to go. So you know I really wanted one of these gorgeous cups if I was willing to walk all the way to Parkdale, not always the most welcoming environment in the city! I’m so glad I did go to the Kitten & the Bear for high tea. Their afternoon tea is a bit smaller than the typical three courses (served with one tea pot, one scone per person, 4 jams and clotted cream, mmmmmm…). Truthfully the tea sandwiches and cakes weren’t missed as I am always far too full at high tea to finish anyways. The scones are made in house (we were lucky to have ours straight from the oven! ), as is the jam. 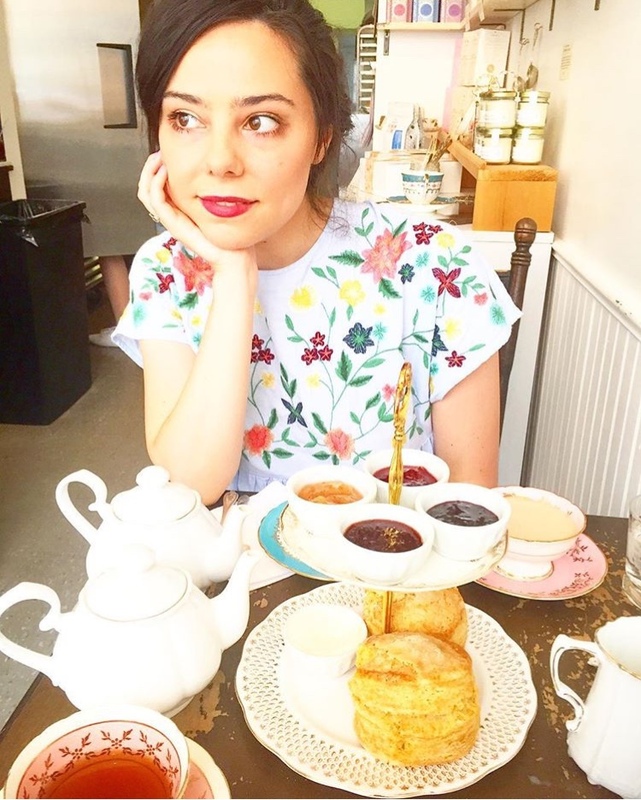 The tea is all by Sloane Tea, I had the Heavenly Cream and my friend Morgan had the Lavender Earl Grey. The Heavenly Cream is a gorgeous tea, I will be getting a tin for home (they also come in the prettiest tins!) to replace my Marie Antoinette tea from Laduree, which much to my despair has been sold out in NYC the last two times I’ve been. Though I’m not usually a fan of Earl Grey, I do love Lavender in food and Morgan’s tea was also very nice. 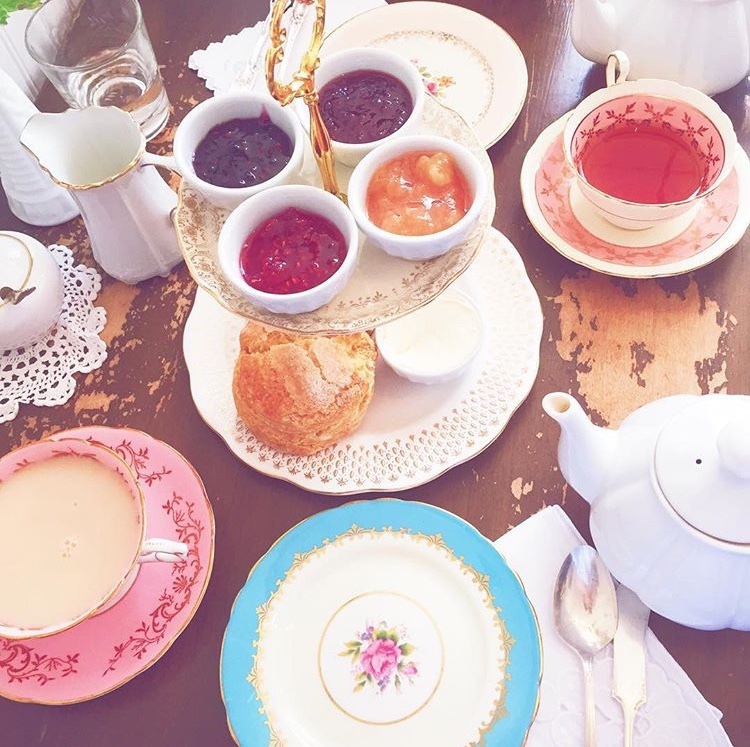 The Kitten & the Bear is an adorable little spot, which has two tables for high tea and doesn’t take reservations. 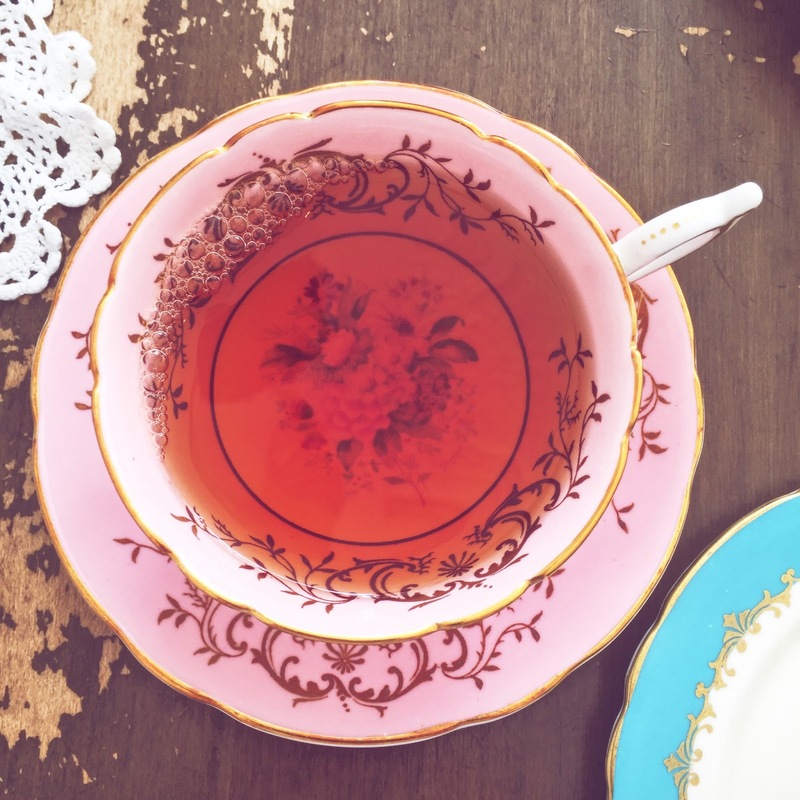 I recommend it if you’re feeling like high tea, but would like a more economical option (it’s only about $20 per person)!